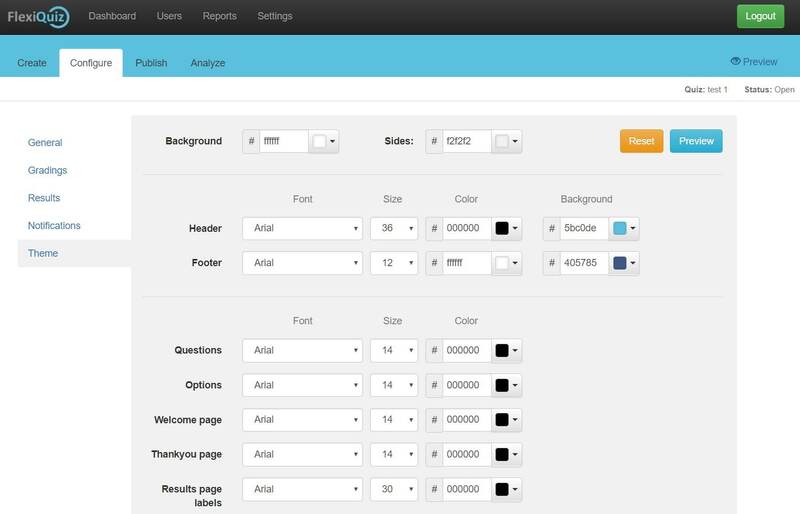 Through the theme configuration screen you can customize the look of the test that your respondents will take. The screen can be accessed within your test by selecting the Configure menu and then selecting the Theme side item. 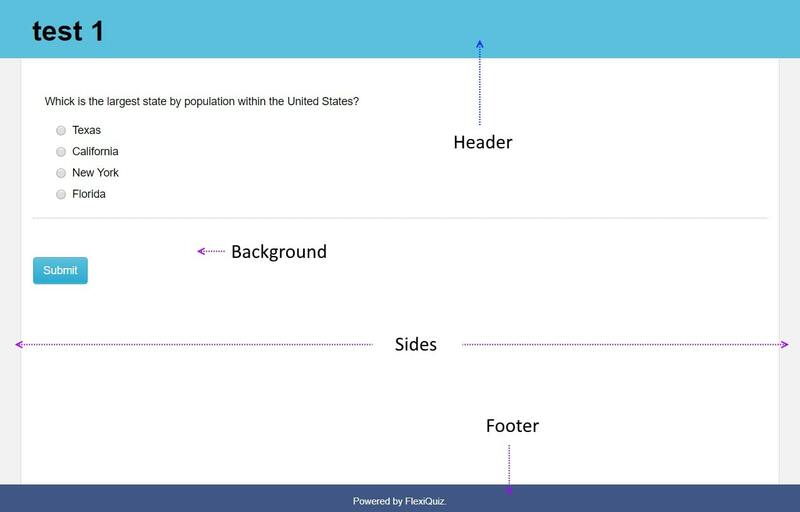 The backgrond, sides, header and footer settings apply to all pages within your quiz. The screen also provides options to set the font style, size and color for all your questions and options. The font settings will only be applied when they have not been individually set within the question editor. At any point you can view how your test will look to respondents by using the Preview button. You can also easily change back to the default color and font settings by using the Reset button. Note: the theme feature is only available on the Premium paid plan. You can also set your own company or school logo by using the logo option in the general configure screen.